Given that one out of two people will be diagnosed with cancer in their lifetime, you are probably already training clients who either have cancer or are in recovery/survivorship. Perhaps you have been touched by cancer personally and want to help a friend or family member, but are afraid of hurting them. 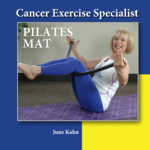 With proper education and training you will gain the knowledge that you need to safely and effectively create exercise programming for anyone that is currently undergoing cancer treatment, or well on their way to long-term survivorship. Even if you have years of training experience in the fitness field, you probably don’t feel prepared to work with this population. Our coursework will improve your skill in designing and implementing safe and effective programs to help patients minimize treatment side-effects. Adittionally you will learn how to correct range of motion and muscle imbalances, minimize pain, increase energy, improve self-confidence and so much more. According to the Bureau of Labor and Statistics, there were roughly 300,000 fitness trainers and instructors as of 2016. The numbers growing by approximately 10% per year. The median pay is roughly $39,210 per year or $18/hr. Do you want to be an AVERAGE Trainer or an EXCEPTIONAL trainer? You can make an amazing living while helping to improve the lives of those affected by cancer! CETI will not only provide the training and education, you will gain valuable CEU’s to fulfill your CEU requirements. You will receive a FREE one-year membership to the MedFit Network and will be listed on both the MedFit and Cancer Exercise Specialist directories. As student and graudate, you will be invited to participate in ongoing FREE webinars and business coaching, be included in our exclusive CES Facebook group, and have opportunities to be featured through our vast social media network. CETI training will help you to stand out in the crowd as a fitness professional. We are always here to help you and to answer your questions. 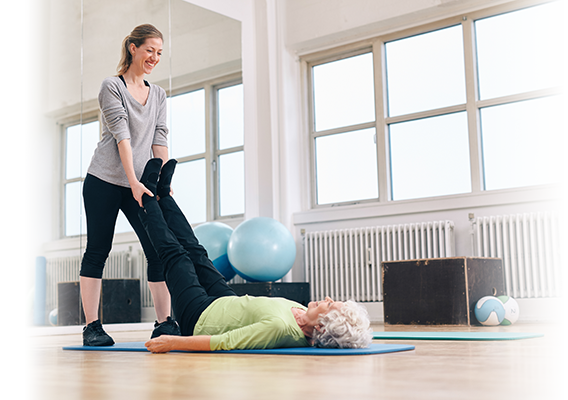 Learn how to modify any fitness modality to meet the needs of your individual clients. We will teach you how to safely progress and, when necessary, regress your client’s individual exercises. We offer specific protocol for the BOSU(R) Balance Trainer, yoga, and mat Pilates. Our training is not, however, limited to these three practices. 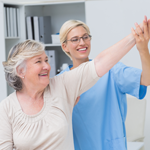 You will learn how to modify any modality based on time and location of surgery/treatment, range of motion limitations, and muscle imbalances. Cancer Exercise and/or Breast Cancer Recovery BOSU(R) Specialist training will provide you with the unique knowledge and skill sets to speak with conviction on the topic of cancer recovery and exercise. Through our ongoing business development coaching, you will gain the confidence to approach local and national TV, radio, and newspapers. Learn how to write a value-packed and meaningful blog, build your following through social media, and even write/produce your own videos, books, or e-books to help you gain notoriety. We will even teach you how to stand out in a crowd as a fitness professional and open the door to medical referrals and bridge the gap between medicine and fitness. Have you already signed your contract with CETI? Click here to pay.